Be the first to share your favorite memory, photo or story of Junella. This memorial page is dedicated for family, friends and future generations to celebrate the life of their loved one. 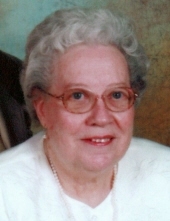 Junella E. Hamblin, age 86 of Jerry Hamblin Road, Williamsburg, Ky., passed away Saturday March 30, 2019 at Baptist Health Corbin. She was born April 1, 1932 in Insul, Ky. to the late James and Hattie Shelton Engle. She was also preceded in death by a sister Annette Calhoun. Junella was an educator for over 33 years. Her first school was a one room school at Upper Mulberry. She was a lifetime member of the Whitley County Historical Society and the Ladies Auxillary of the D.A.V. in Williamsburg, Ky.
She is survived by her husband Jerry Hamblin Jr. of Williamsburg, Ky., several nieces, nephews and a host of relatives and friends to mourn her passing. Funeral service will be 1:00 pm Tuesday April 2, 2019 at the Ellison Funeral Home Chapel with Dr. Jerry Lowrie officiating. Interment will be in the Upper Powers Cemetery. Visitation will be 5:00 pm Monday April 1, 2019 at the funeral home. To send flowers or a remembrance gift to the family of Junella E. Hamblin, please visit our Tribute Store. "Email Address" would like to share the life celebration of Junella E. Hamblin. Click on the "link" to go to share a favorite memory or leave a condolence message for the family.